If you are a Xiaomi Mi A2 user and want to root, flash a custom ROM your device, then you are at the right place, Here in this Rooting guide, we will help you to flash the magisk to root Xiaomi Mi A2 (Jasmine). Who does not want to get most of his Android device ..! Getting Superuser access through the root and being able to control different aspects like clock, access cache etc are some of the various possibilities we can explore. When we mention root access, it means that we need to make a certain modification that will route our phone and we have access to the root directory of our device. In this post, we will show you how you can root Xiaomi Mi A2 (Jasmine). 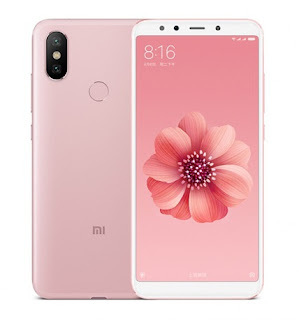 The Chinese smartphone manufacturer company, Xiaomi has launched its latest Android One smartphone in the Indian market on August 8, which is called Xiaomi MI A2 (codename: Jasmine). The phone comes with a 5.99-inch touchscreen display with a resolution of 1080 pixels by 2160 pixels. The Xiaomi Mi A2 is powered by 1.8GHz octa-core processor and it comes with 4GB of RAM. The phone packs 64GB of internal storage that can be expanded. As far as the cameras are concerned, the Xiaomi Mi A2 packs a 20-megapixel primary camera on the rear and a 20-megapixel front shooter for selfies. Why Should You Root Xiaomi Mi A2? That’s the interesting question! If you are an Android geek and want some change from the regular UI of Xiaomi Mi A2, then installing Custom ROMs is your first choice. The Twrp custom recovery allows you to flash the Custom ROMs of your choice on your devices, Increase performance of your device by tweaking kernel and overclocking device, increase battery life and many extra features. You can install custom ROM and custom kernel on your Xiaomi Mi A2 device for faster and better performance. Easy access to restore the Nandroid Backup for your Xiaomi Mi A2. You will be able to update your Xiaomi Mi A2 Android Phone to Latest Android version. This Rooting procedure is only for the Xiaomi Mi A2 model only, so do not use it on any other smartphones. Rooting or flashing recovery’s will void your warranty and can brick your device if done wrong. If your Android phone is newly bought or still enjoys a long-period warranty, think twice before rooting. In fact, some Android device manufacturers go out of their own ways to prevent you from rooting. As always, you do this at your own risk. If your phone bricked somehow, kbloghub.com is not responsible for any damage to your Android Smartphone. Make sure to Download & install the Minimal ADB and Fasboot. Make Sure bootloader is Unlocked of the Xiaomi Mi A2. Enable USB Debugging & OEM unlock on Xiaomi Mi A2, Navigate to Settings » About phone » Build number and tap it 6-7 times to enable Developer options on your device (You should get a message saying you are now a developer). Now, you can install Twrp recovery on your Xiaomi Mi A2 smartphone. By using this custom recovery you can flash SuperSU file. Also, you can flash Custom ROM of your choice using this recovery. This guide is written carefully detailing all the necessary steps and by following it you agree that you understand these risks. First of all, you need to unlock the device bootloader on Mi A2. Then you can continue with the next steps. After this, we need to download and flash the patched ramdisk file which we mentioned above. Firstly, You need to boot your device into fastboot mode. To boot you smartphone into fastboot, press and hold the Power button + Volume Down Keys simultaneously for sometimes. When your device boots into the Fastboot, Connect your device to the PC/Laptop using USB cable. If you’ve not downloaded, download the patched image file from the above download link & Move that file into the ADB Installed folder on PC. This command will return a device ID to confirm your device is properly connected. That’s all; this is the complete guide of Easily Root your Xiaomi Mi A2. If you face any issues or have any queries, let us know in the comments section below. If you find this post helpful, Please share this post on your social network. It will only take a moment and also it is quite easy and helpful for others.